The Sanctuary Lodge is an incredible hotel to enjoy an experience of Machu Picchu in Peru. In addition to luxury accommodation, excellent dining experiences, and beautiful views, Sanctuary Lodge is the only hotel positioned so close to the Incan monument. Offering an indulgent experience of Machu Picchu, the Sanctuary Lodge offers a secluded escape surrounded by orchids, butterflies, and beautiful mountains. Given the incredible position, enjoy unrivalled views of Machu Picchu direct from the hotel. Each of the following tours provides a stay at the Sanctuary Lodge, guided tours of Machu Picchu itself, and combination tours of some of the other iconic attractions of Cusco and the Sacred Valley. Each tour offers luxury accommodation and high-class service for you to make the most of this incredible destination. The Sanctuary Lodge design offers bright interiors with dark wood throughout. You can also enjoy the furnished terraces to observe the stars and enjoy a night-time drink. At the restaurant, you will enjoy delicious cuisine, including a variety of modern dishes with cultural fusions. Explore a variety of traditional plates of Peru and South America with some international favorites. Because of the hotel’s location, you can enjoy Machu Picchu before or after the majority of tourists explore the monument. This provides a more private and enjoyable experience. However, the hotel is also part of the attraction. Surrounding the Sanctuary Lodge are the beautiful gardens with flowers that attract a diversity of Andean wildlife. This includes the beautiful butterflies and hummingbirds, which are often the favorites to see. The hotel also offers a wellness center to fully relax with a massage after your day exploring Machu Picchu. Let’s have a look at some recommended Sacred Valley luxury tours that include a stay at the Belmond Sanctuary Lodge. The Belmond Adventurous Peru Tour is an excellent adventure tour to combine high-class luxury accommodation, excellent dining opportunities, visits to some of Peru’s top attractions, adventure activities, and Machu Picchu tours from the fantastic Sanctuary Lodge. Over an 8-day itinerary, enjoy adventure activities in the Sacred Valley, some of the most luxurious hotels in Peru, a journey aboard the Vistadome, and a guided tour of Machu Picchu itself from the Belmond Sanctuary Lodge. 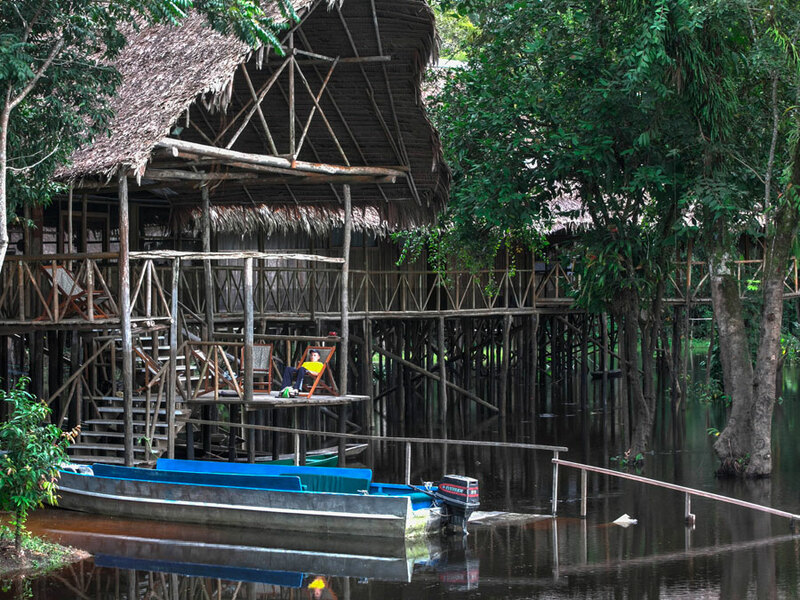 Now, let’s have a look at the itinerary for the Belmond Adventurous Peru Tour. After you arrive in Lima, you will first enjoy a night at the Belmond Miraflores Park Hotel, which is ranked as one of the best hotels in the city. From here, you can enjoy comfortable accommodation, beautiful coastal views, and a relaxing night’s sleep before your journey to the Incan capital of Cusco. The next day, travel to Cusco for the famous Sacred Valley of the Incas. While here, you will first be accommodated in the Belmond Hotel Rio Sagrado near the Urubamba River. You will begin your first adventure activity with guided ATV (all-terrain vehicle) exploration of the Pumahuanca gorge. Not only a fun activity, the ATV allows you to visit hard to reach areas and to enjoy spectacular scenery of the Urubamba River and Andean Mountains. You will now visit the archaeological site of Huayna Capac’s Incan palace for your first taste of Incan history, which is followed by rafting the Urubamba River. After this, explore the area on horseback to absorb more of the scenery and also to enjoy the smooth Peruvian Paso way of horse riding. After exploring the Urubamba region, you will head to the fantastic historical attractions of Moras and Moray. Moras is an area of salt pans, which are still used today in a traditional manner. This will be followed by a visit to the nearby Incan structure of Moray, which looks similar to an amphitheatre. However, researchers think the structure was an Incan laboratory where different varieties of maize, potato, and other crops could be produced. For example, the Andean communities managed to create thousands of potato varieties. It will now be time for your incredible journey through the Andes aboard the Vistadome train. The train offers skylights and large windows to fully enjoy the beautiful Andean scenery. You will then arrive at the start of a short trail dotted with archaeological remains, including Wiñaywayna and the Sun Gate. Continue the walk to the luxurious Belmond Sanctuary Lodge, which will be your base for exploring Machu Picchu. First, however, you will relax at the hotel, enjoy the facilities, and enjoy a comfortable night’s sleep. From the hotel, you can also enjoy some stunning views of Machu Picchu to prepare yourself for exploration the next day. After your sleep, you will enjoy your private tour of Machu Picchu to explore this incredible Incan monument. As the hotel is so close, you can explore the structure before the majority of people arrive at the citadel or after they have left. After Machu Picchu, enjoy a tour of Cusco city itself to visit some of the most popular attractions. You will also enjoy a tour of Lima before your return flight home, including Miraflores and the Historic Centre. The Belmond Insider’s Peru Tour includes some of Peru’s top attractions, such as a visit to Machu Picchu from the very comfortable Belmond Sanctuary Lodge. In addition to this, over 7-days you will explore Cusco and the Sacred Valley starting from Peru’s capital city of Lima. 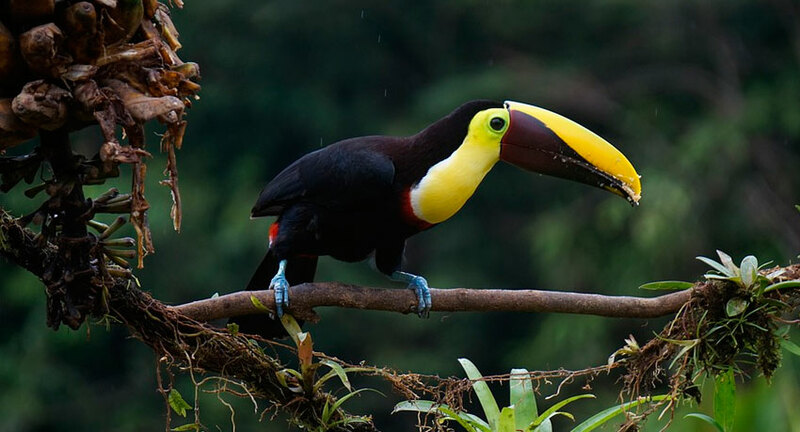 Let’s have a look at a summary itinerary of the Belmond Insider’s Peru Tour. You will first arrive in Lima and will be collected from the airport for your journey to the Belmond Miraflores Park hotel, which ranks as one of the city’s best hotels. Here, you will enjoy a comfortable night’s sleep before your journey to Cusco to following morning. After arrival in Cusco, you will be accompanied to the luxurious Palacio Nazarenas Hotel. The Palacio Nazarenas offers not just very comfortable and elegant accommodation, but also a fantastic base to explore the most interesting areas of Cusco city. You will enjoy a guided tour of both the colonial Spanish sights and the Incan tourist sights, including the Santo Domingo Temple & Koricancha. After this, visit the fascinating Incan baths of Tambomachay where the Incan elite would come to relax. You will then enjoy Qenqo and the fortress of Sacsayhuaman. On your journey back to the hotel, you will see the fantastic architecture of the merging of Incan and Spanish construction. The streets here offer one of the world’s most historically fascinating walks. Once a Spanish convent built on the ruins of an Incan palace, the Palacio Nazarenas Hotel is one of Cusco’s most luxurious and exclusive accommodation options. Enjoy a heated swimming pool, modern local cuisine, and a butler service. The following day, you will travel to the incredible Sacred Valley of the Incas. You will now learn some traditional Andean weaving techniques from an expert of Andean textiles. It will now be time to head to the Hotel Rio Sagrado for lunch and a visit to the Urubamba River. You will then visit the fortress of Ollantaytambo then board the luxury-class Hiram Bingham train for your journey to Machu Picchu. 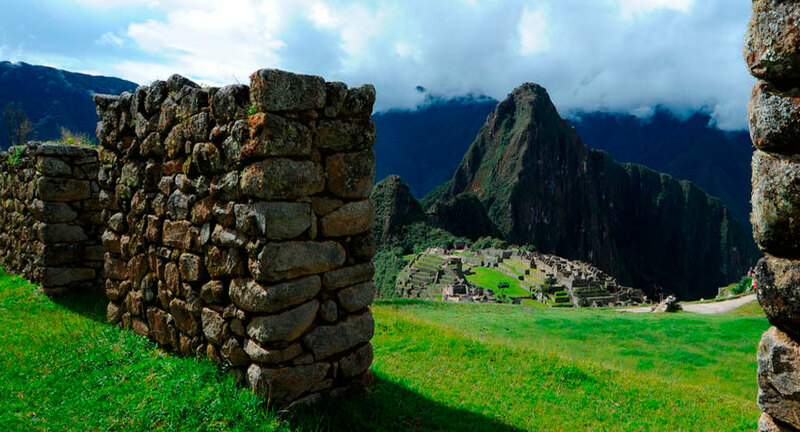 For Machu Picchu, enjoy a private visit as you will be accommodated in the perfectly positioned Sanctuary Lodge very close to the Incan monument. At the hotel, you will have some spectacular views of Machu Picchu and delicious food. After enjoying a comfortable night’s sleep, you will then have a self-guided tour the next day before your journey back to Lima. The Belmond Unmissable Peru Tour is an 8-day classic tour of Peru with a focus on Cusco and the Sacred Valley, while enjoying luxury accommodation and high-class service. You will visit the historic Incan monument of Machu Picchu from the Belmond Sanctuary Lodge in addition to many other fascinating attractions. In addition to visiting the tourist sights, you will also enjoy a fantastic journey aboard the luxury-class Hiram Bingham train and the Vistadome. While at Machu Picchu itself, you will enjoy a private visit on a guided tour to absorb some fascinating history and spectacular scenery. 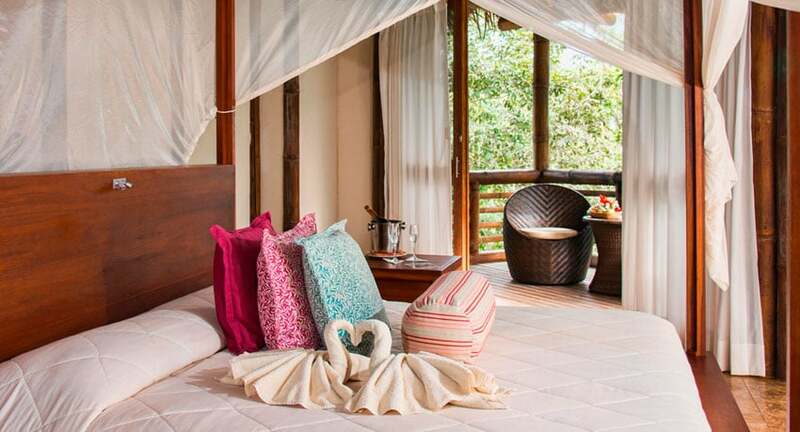 You will then enjoy a relaxing night’s sleep at the Belmond Sanctuary Lodge. Now let’s have a look at a summary of the Belmond Unmissable Peru itinerary to show you what to expect. You will first arrive in Lima, Peru’s capital city, to enjoy a stay at the Belmond Miraflores Park Hotel. Ranking as one of Lima’s top hotels, you will enjoy a relaxing night’s sleep before your tour of Lima and journey to Cusco the next day. Explore Lima on a guided tour to see some favorite sights, such as the modern district of Miraflores, a favorite museum, and the fascinating Historic Centre. Here, you will see the Archbishop’s Palace, Government Palace, Plaza Mayor, Cathedral, and City Hall. You will now visit Cusco to see some fascinating examples of colonial architecture and the incredible ruins from the Incan Empire. Tour the famous Sacred Valley to enjoy a range of Incan archaeology and, of course, the world renowned monument of Machu Picchu itself. You will first visit some different markets to see iconic textiles of llama and alpaca wool. After this, see the incredible structure of Ollantaytambo before boarding the Vistadome train to Machu Picchu. Aboard the Vistadome, enjoy the beautiful scenery of the Andean Mountains through the many windows and skylights. 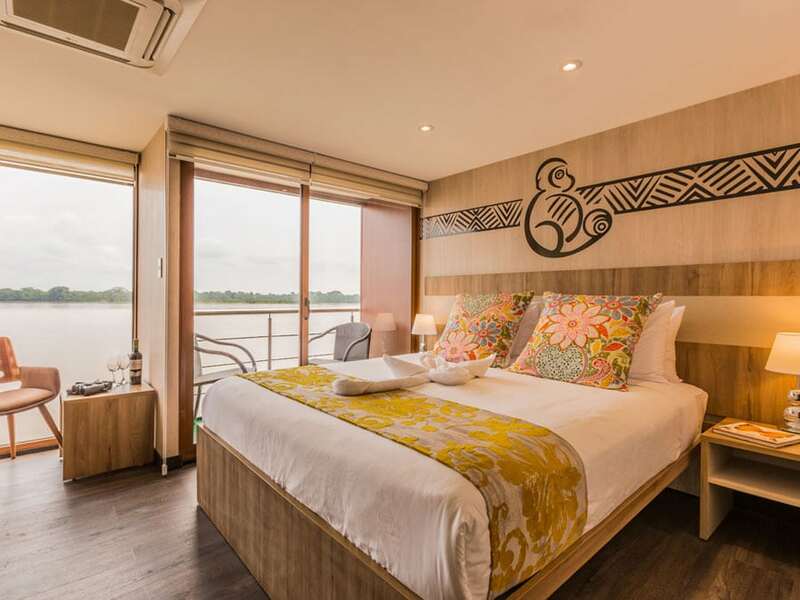 After your journey aboard the Vistadome, you will first visit the fantastic Belmond Sanctuary Lodge. The hotel offers some incredible views of Machu Picchu and is the only hotel located so close to the Incan monument. From here, you will enjoy a private visit to the citadel. The next day, you will travel back to Cusco aboard the luxury-class Hiram Bingham train. 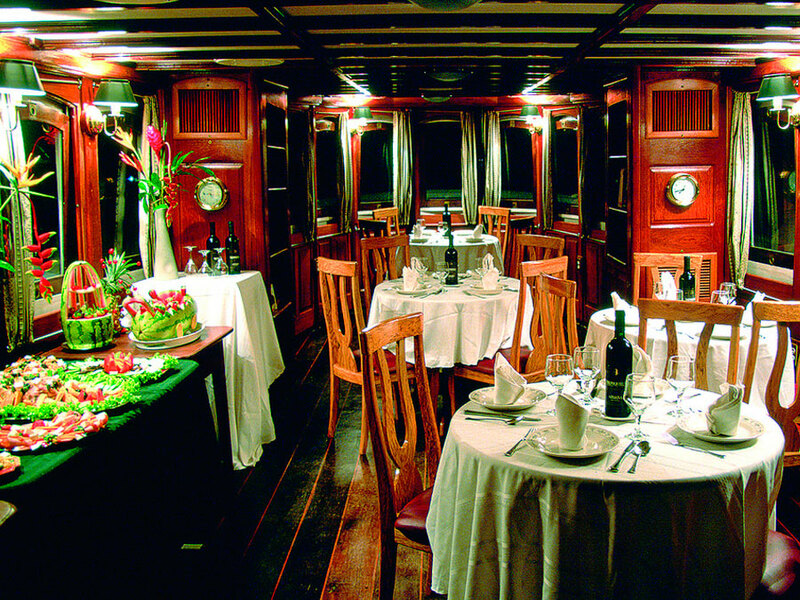 You will be served an elegant dinner while you appreciate the Andean scenery to accompany your journey. While in Cusco, you will have a tour of some of the most fascinating sights. These include the Santo Domingo Temple (Koricancha), the Cathedral on the Plaza de Armas, Kenko, Sacsayhuaman, Tambomachay, the Incan Baths, and Puca-Pucara. For the last experience of your tour, you will enjoy a stay at the indulgent Belmond Hotel Monasterio. The hotel was a former monastery dating to 1592. In addition to offering very comfortable accommodation, enjoy ornate decor, a beautiful central plaza, and restaurant. The hotel is then decorated with colonial paintings and antiquities. Here is the above list of tours that include Sanctuary Lodge again in summary form.